You can contact the makers of this show through email at TheGoblinsHead@gmail.com, or check us out on Twitter or tumblr. 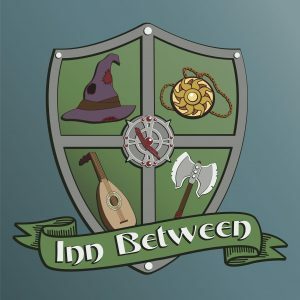 Do you love Inn Between? The easiest way to show your support is to leave us a review on Apple Podcast or the podcatcher of your choice. It helps other people find the show, and it makes us look really good. Or if you’re so inclined, kick us a few bucks on Patreon, where you can get production updates and other great rewards!